2018 Hiring Red, White & You! 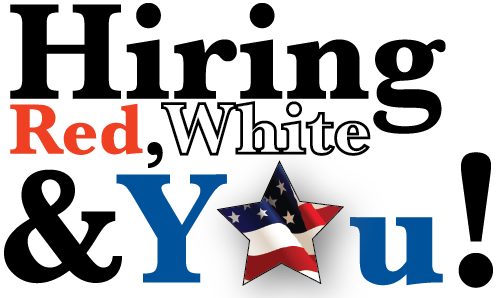 On Thursday, November 8, 10 a.m. – 2 p.m., the 7th annual Hiring Red, White & You! Job Fair for veterans and their families will be held at Minute Maid Park. In cooperation with the 28 Local Workforce Development Boards, the Texas Veterans Commission, the Texas Medical Center, and Governor Greg Abbott, Hiring Red White and You (HRWY) connects Texas veterans and their spouses with Texas employers that value the experience, discipline, and other exceptional qualities inherent in a military background. Over 12,700 job seekers and over 1,800 employers attended the statewide HRWY job fairs in 2017. In the first six years, HRWY has connected more than 71,800 job seekers, including 36,200 active duty military and transitioning service members, veterans, and spouses, to 10,300 employers, with over 1,700 same-day hires! You can also see a list of participating employers. If this will be your first job fair, start with “Job Fairs: What to Expect”. And you’re always welcome to visit a Workforce Solutions career office where you can talk with a vet rep about your job search goals and get your resume reviewed prior to November 8. Career offices have computers that you can use to edit/revise your documents and research the event’s participating employers. Remember to make several copies of your resume, which you can also do in our offices – all at no cost. I am so honored to serve you and your families at this year’s Hiring Red, White & You! Hope to see you there!